I am by no means a grinch — I absolutely adore Christmas, I just hate the level of consumerism that comes with this holiday. I would much rather give and receive a handcrafted item, than something that was made in a factory and purchased just for the sake of it. If you’re on a tight budget this Christmas, why not get creative? Not only will you save money, but you’ll be giving a memorable gift that is not only unique, but environmentally friendly. We all have the ability to create and influence positive change, so why not start with this year’s gift giving? The holiday season is filled with so many joyful experiences — baking cookies, finding the perfect Christmas tree and the time you spend with friends and family. During this holiday season, we often forget about the choices we make and how that impacts the environment. Exclusive: Real Vs. Fake Trees, Which Is Better? One of the largest debates regarding a more eco-friendly Christmas is the type of tree you source. There are many factors regarding this subject, and although many fir and pine trees find themselves in landfills, this does not need to be the case. When compared side by side, a real tree is actually much more environmentally friendly than the artificial alternative. Where I live, all Christmas trees are collected and properly recycled — but I know that this is not the case everywhere. Like any issue, you will need to place pressure on your local government, asking them to provide a recycling program for trees. As stated by the Canadian Wildlife Federation, in Canada alone, there are 82,700 acres of land dedicated to growing Christmas trees. Throughout the year, these trees provide a safe habitat for both birds and other wildlife species — not to mention their positive impact on carbon dioxide. When one tree is cut down, 10 new trees are already being grown to immediately take their place within the tree plantation. So, head to your local tree farm and stop buying plastic trees. From the immense amount of plastic packaging to overconsumption of cheaply made toys (which generally end up in the garbage), Christmas does not need to be so detrimental — in terms of the environment and your wallet. I would like to share with you some great DIY gifts so that you can not only save money, but continually make greener, more sustainable choices. Although we have already been dumped on here in Canada, creating a blanket of white, I plan on having a very green, traditional Christmas. Being a small business owner who focuses on eco-friendly method and materials, I reuse as much as possible — especially in terms of wood. The following gifts can be made by anyone, regardless of your skill level. Not only are these crafts unique and cost-effective, but you can make them your own, adding your own personal touch. Let’s get started, shall we? 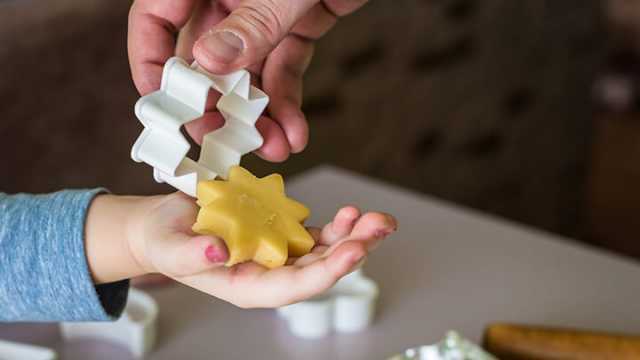 All kids love play dough, so why not make your own version that is non-toxic and safe? If you have a lot of children to buy for, or are a teacher, this is a cute gift that will keep on giving. You can source both ideas and instructions from Queen Bee Coupons. You more than likely have all the ingredients at home right now. When packaged, flavored salt is a beautiful gift that any home cook will appreciate. Not only will they be able to use this quality salt for their family, but a glass jar is a great addition that can be reused for spices. Although you will find directions and classic combinations over at Cookin Canuck, the sky’s the limit. On this page, you’ll also find soup in a jar, an instant oatmeal mix, spiced pecans, apple butter and the cutest little cranberry chocolate chip banana bread. 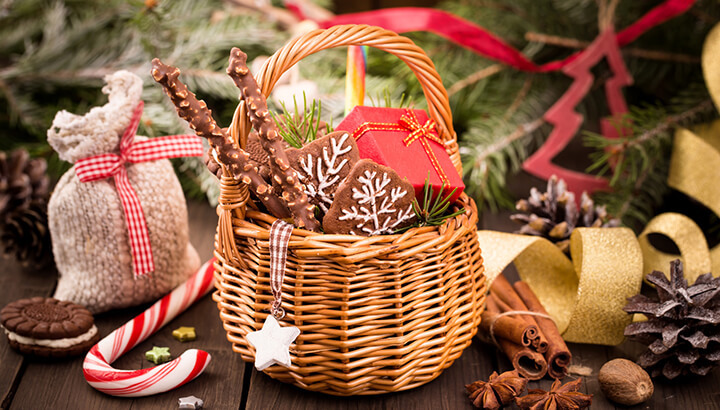 For the chefs in your life, you can make a large basket that will cost you less than $30, filling it with some of the eco-friendly, edible gift ideas above. Whether carrying around your phone, money or beauty accessories, sometimes all you need is a small clutch. If you enjoy sewing or would like to try your hand at this skill, this is the perfect gift to give. Not only is this clutch idea adorable, but it’s functional and practical as well. This tutorial can be found over at The Girl Inspired. If you have a plant-loving individual on your gift list, or those who would love to add a little more greenery to their living space, this is a great idea. Offering a transparent home for the plants you choose, this green gift will surely shake the winter blues. Head over to Inhabitat to make your very own — and don’t forget to add layers for drainage! Handmade soap is all the craze right now, and for good reason. Once you try soap that has been handcrafted, you can’t go back to conventional bars that dry out your skin — you become hooked! There are a number of processes to make soap, and some are more advanced than others. 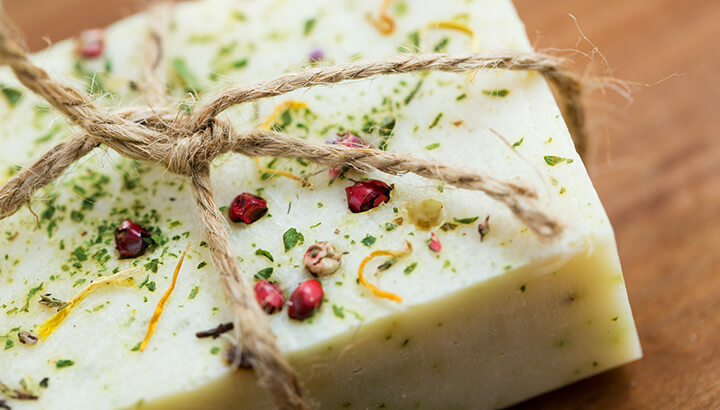 If you’re a beginner and would like to make a stunning gift, try the herb and citrus soap recipe from Hello Glow. For those who love taking positive action and adore the environment, give them a gift that they will truly appreciate. I love this idea because it’s unique and will welcome a place for bees to thrive. These important pollinators are dying off at startling rates, so why not give the gift of life? David Suzuki provides thorough instructions to build your own bee house, but you can most certainly switch up the design. Looking for stocking stuffers? Homemade lip balm will be happily received, especially when made with all-natural, organic ingredients. The recipe over at Everyday Roots is not only a great project, it is healing. All you will need is a container, beeswax, coconut oil, honey, vitamin E and essential oils. Hopefully, these gift ideas will inspire you to make your own DIY gifts this holiday season, reducing waste and enhancing your gift giving experience. Hopefully, once you begin giving quality handmade gifts, you’ll inspire others to do the same. After all, who doesn’t love to save money, help the environment and give a truly memorable gift? From jewelry to decor, there are so many possibilities, so get creative this holiday season. Have you personally made any interesting gifts in the past? If so, what did you make? Please share your experiences so that others can benefit from your remarkable ideas. Previous article1 Billion Emails Hacked, Are You At Risk? Hey Buddy!, I found this information for you: "Make Your Own DIY Green Gifts This Christmas Season". Here is the website link: https://www.thealternativedaily.com/diy-green-gifts-for-holidays/. Thank you.